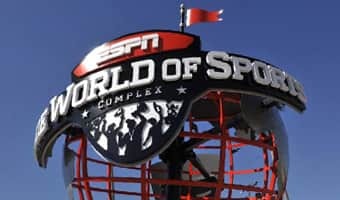 Young athletes competing in the 2016 Pop Warner Super Bowl and National Cheer and Dance Championships will get to experience the magic of ESPN Wide World of Sports Complex at Walt Disney World Resort for the 20th year. From December 2-10, 2016, teams from across the country who battled in regional competitions will play for national titles at Walt Disney World Resort. Thousands of players, dancers and cheerleaders will travel to Disney for an unforgettable sports experience of a lifetime. Athletes can celebrate their hard work at an exclusive private party at Disney's Animal Kingdom! 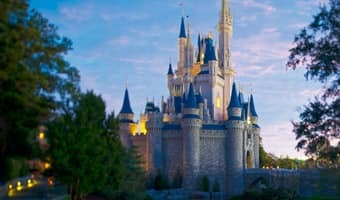 Teams can play in the park after dark and enjoy new evening experiences, including Kilimanjaro Safaris at sunset, Discovery Island Carnivale and Expedition Everest at night. Boxed lunches are a great option for busy teams with schedule changes. Our boxed lunches include turkey sandwiches, ham and cheese, vegetarian options and more. All lunches come with potato chips, a fresh baked cookie, apple and 12-ounce bottle of water. 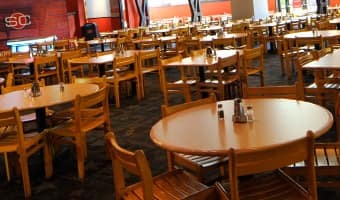 There are also pizza options and salads available. Since we know how important it is for athletes to keep up with their studies, there are various Study Hall options available to keep players and dancers up-to-speed with their school work. Participants visiting ESPN Wide World of Sports are able to reserve a GameDay photographer, who can be assigned to an individual player or team to document the entire competition experience. Pop Warner is the nation's largest and oldest youth football, cheer and dance organization, and the only league that requires academic proficiency to participate. More than 70 percent of today's NFL players went through Pop Warner Little Scholars. Learn more about the ESPN Wide World of Sports Complex at Walt Disney World Resort and discover the various services and offerings available to athletes.